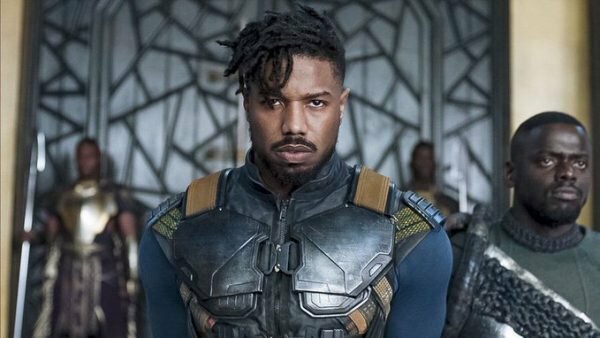 Back in November, Michael B. Jordan, the actor best known for playing Erik Killmonger in Black Panther, opened up about needing therapy after making the movie. This week, Jordan spoke with Oprah Winfrey and went into more detail about his mental health journey. According to Yahoo Entertainment, the actor opened up to Oprah while taping SuperSoul Conversations, Winfrey’s new TV special. Winfrey asked where Jordan got “all that nastiness” from and the actor confessed that it came from “isolating” himself. The experience of getting into that kind of character certainly sounds taxing, and the actor admitted he didn’t have an “escape plan,” so acclimating back to normal life was “tough” at first. It’s no surprise the actor decided to speak to someone about what sounds like an intense emotional experience. Luckily, Jordan said the therapy helped him out “a lot” and many fans are grateful that he’s been so open about the experience, especially since there’s an unfortunate social stigma around men seeking help for their mental health. While we wish the process would have been easier for Jordan, we are incredibly grateful for the dynamic performance he gave. In fact, Comicbook.com awarded Jordan’s performance two separate 2018 Golden Issue Awards at the end of last year. One for Best Actor and one for Best First Appearance. Jordan’s peers in the Screen Actor’s Guild obviously saw the importance of the performance, too, because the actor and his fellow castmates just won Outstanding Performance by a Cast in a Motion Picture at the SAG Awards. Black Panther is currently streaming on Netflix. SuperSoul Conversations airs February 16th on OWN at 8pm EST.